Master the art of sushi and cocktail making in this 3 hour sushi masterclass by Kouzu in Belgravia, London. Master the art of sushi and cocktail making in this 3 hour high-end Japanese restaurant in Belgravia. 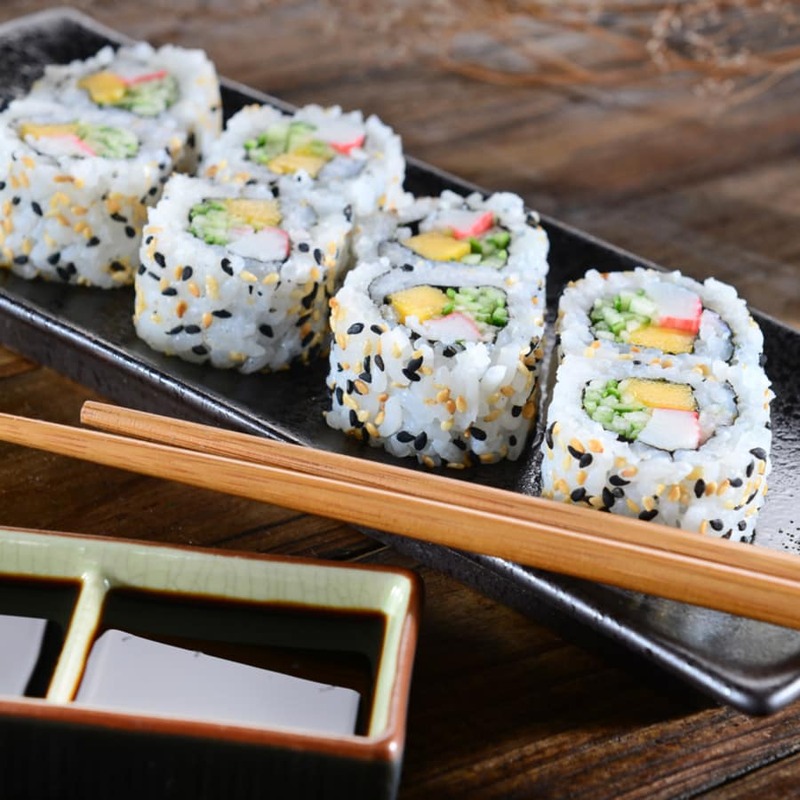 In the first part of this 3 hour masterclass, you'll begin by learning about the origins of sushi before one of the expert chefs guides you through creating your own sushi using the finest ingredients in Kouzu's state-of-the-art kitchen. You will then have some time to enjoy your delicious creations - YUM. Once you have had your fill you will move to the bar where one of the master mixologists will school you in the art of cocktail making. Create a familiar favourite or choose from one of the signature cocktails and indulge in drinks made from the finest ingredients. The class is all very hands on but don't worry because you will be learning from the best. This class will have you eating the best sushi and drinking the finest cocktails. You will also get to take home a signed menu from your sushi master. Although sashimi is typically eaten with chopsticks, sushi is traditionally eaten by picking it up between thumb and middle finger. You are then supposed to turn the piece upside down and only dip the fish into the soy sauce, never the rice - rice absorbs too much sauce and this changes the texture of the bite. Very nice class and perfectly timed. We enjoyed the cocktail making as well as the sushi making, best part is to then taste your creations. Nice Staff and even better teachers. I definitely Recommend! This is a lovely class! The Sushi is amazing (as are the cocktails) and I can now prepare some amazing Sushi for my wife :) Thanks Obby! Great content, a fun and entertaining experience. The class was very informative, we were encouraged to ask questions and experiment. I had such a blast! The staff were very helpful, friendly and funny. We also had some delicious food and cocktails!! Great experience, a fun filled afternoon of sushi and cocktails, what more can you want?! We did the sushi first which, I think, is a much better way round. So if you get sat at the bar first ask if you can move to start with the sushi. I know it looks pricey, but you get so much for your money. 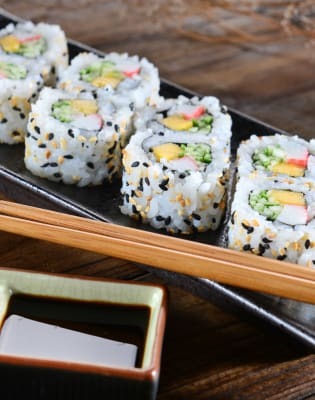 A contemporary Japanese restaurant located in Belgravia, London, Kouzu is cutting edge when it comes to the innovations in sushi with a combination of modern and traditional dishes. Founded by world class Chef Kyoichi Kai, this high end Japanese restaurant is located in Belgravia. Kai has a different approach to Japanese food culture and likes to mix the visual with the edible, creating art on a plate. Despite the modern look to his food, Kai sticks to traditional ingredients and methodology.